As many of you know I’ve been working on my own products at Never5 for some time now. I currently have 4 webshops where I sell various WordPress plugins, 3 of them run on WooCommerce. Today I found out about an issue that might be a shop-owners worst nightmare, customers that try to place an order but can’t pay. I’m happy to be able to share today that Never5 released a new WordPress plugin: WP Car Manager. 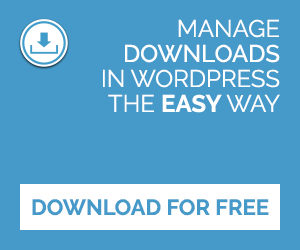 WP Car Manager is a WordPress plugin for managing and listing your vehicles, its goal is to enable anyone to manage and list their cars by using WordPress. In this post I’d like to share something I’ve seen and experienced over and over again. It was relevant when I still did client projects at a web development company, it’s relevant for my personal projects and it’s relevant when working remote for WooThemes. Communication is one of the most important things there is. nRelated is going to shut down their service and a lot of people are moving over to Related Posts for WordPress as an alternative. These ‘movers’ are different than people that decided they needed related posts on their website, found my plugin and installed it. These ‘movers’ are already used to specific features, so their expectations are very specific. 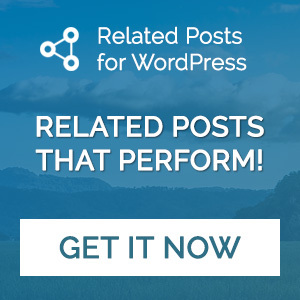 For many people the move from nRelate to Related Posts for WordPress is a good fit but not for everyone. If you’re serious about what you do online, you care about the stability of your website. This goes for all sort of websites but especially for webshops. Let’s say it like it is. You’re losing money when your website isn’t working properly. And I’m not just talking about losing money when your website is completely down but also when there are bugs due that one plugin you decided to update on your live website.